How to get back missing photos on new iPhone 7? How to get back missing photos on new iPhone 7? How to restore iPhone 7 lost photos? How to find lost photos from iPhone 7? Read here to retrieve missing photos. My old iPhone 6 showed me all my photos (40,000+) presumably through my iCloud but when i activated my new iPhone 7 today only 3,477 of them show up. I am logged into my iCloud account on my new phone and have Photo Stream turned on... what else do I have to do to access all my thousands of images on my new phone? Usually, we will take photos to memorize some unforgetable moments or people. 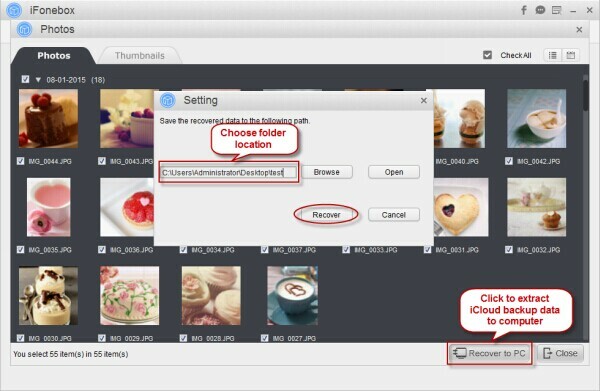 But when you just lose those photos, what to do to get back the missing photos? Just as the above user asked, what he needs is to find lost photos from his new iPhone 7, is there any way? Of course. You will retrieve those lost photos on iPhone 7 so long as you have an iTunes or iCloud backup for those photos. Here, I will mainly show you steps to restore iPhone 7 lost photos from iTunes backup. In order to find lost photos from iTunes backup, I think iFonebox is an indispensable data recovery tool to help you extract and restore only photos from iTunes backup. Why need it? 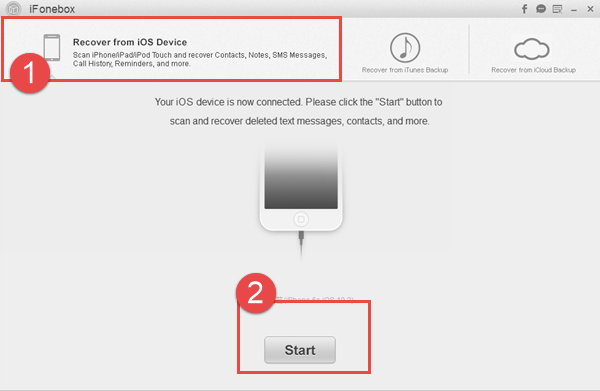 Because within the help from iFonebox, you don't have to restore whole iTunes backup to your iPhone, but only photos. 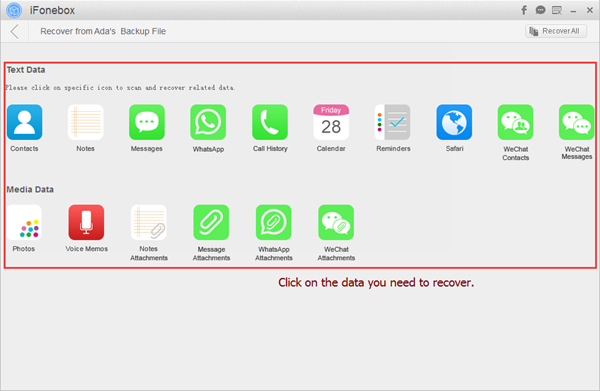 Plus, iFonebox enables you to recover deleted text messages, wechat data, contacts, notes, etc, from iPhone or iPad directly. So cool. Before get back lost photos from iTunes backup, what you need to do is to download and install iFonebox on your computer firstly. There are two versions accessible: Windows version and Mac version. How to get back missing photos on iPhone 7? That's it. Now you have successfully restored lost photos from iTunes backup for iPhone 7 under the help from iFonebox, quite convenient and professional.